You are a serious self-aware artist surrounded by the tools of your trade. Show us the intent in your eyes to capture your subject. The picture gives an impression of how the painters of the time saw themselves. The painter in this picture is standing in a crowded room surrounded by his tools and paraphernalia: a paintbox, palette, and easel as well as a skull and a sketchbook suggesting that careful studies precede the final painting. Wilhelm Bendz was interested in the new role emerging for artists in the early 19th century; they were no longer regarded as specialist craftsmen, but as intellectual workers, as artists in the modern sense. In the 1820s, he painted a number of pictures of artists at work. 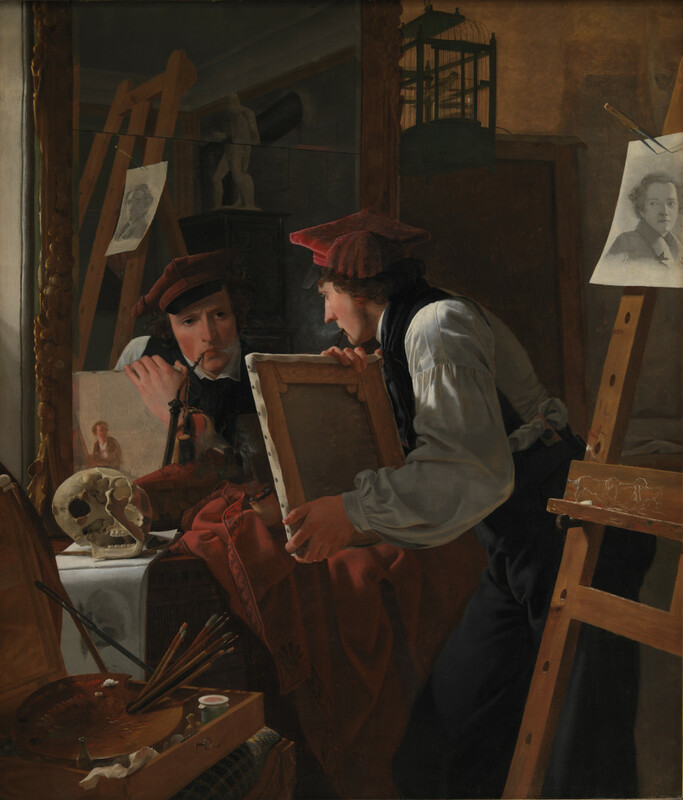 The artist in this picture is Bendz’s fellow student Ditlev Blunck engaged in painting a portrait of Jørgen Sonne, a painter of battle scenes. Can you be the artist who captures this artist capturing another artist capturing another artist?! A zigzagging motion leads up through the lower half of the picture to the painting held in the artist’s hands, the front seen only in the mirror. This alludes to the era’s view of art as a mirror held up to life.